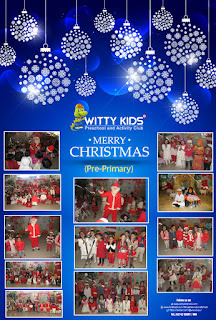 Little toddlers of Witty international School, Udaipur celebrated Christmas with great zeal and enthusiasm. They came dressed in red coloured clothes to celebrate birthday of Lord Jesus Christ. The programme began with a skit that portrayed the birth of Jesus Christ. They sang Christmas carol and enjoyed dancing on jingle bell song. 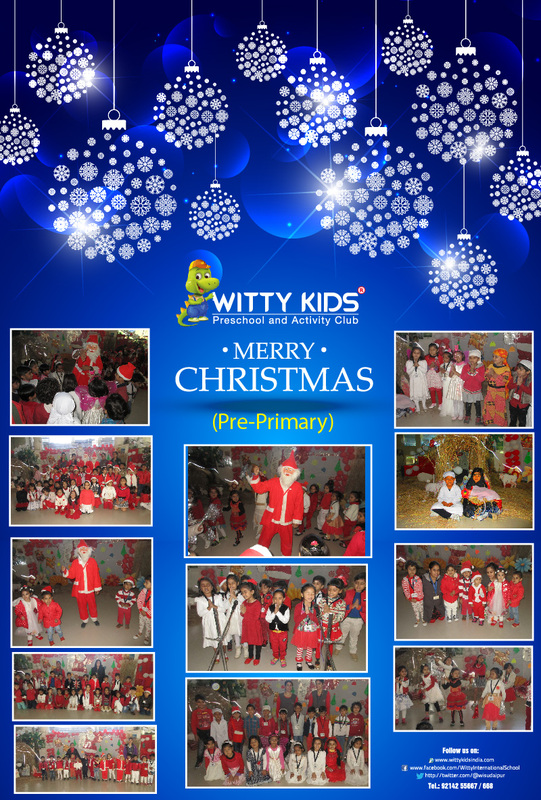 They showed their creativity by drawing and colouring on Christmas theme in their scrapbook. They were anxiously looking forward to meet Santa Claus who danced with everyone.